Exhibitions, concerts, performances, publications, lectures, conferences… These and other events organised by dozens of museums, theatres, galleries, and other cultural and educations institutions will mark the centenary of the avant-garde movement in Poland. 2017 marks the hundredth anniversary of the first significant manifestation of the Polish avant-garde. The three museums with the richest collections of avant-garde art – the National Museum in Warsaw, the National Museum in Kraków and Museum of Art in Łódź – have embarked on an initiative to celebrate the centenary. With the Polish Committee for UNESCO as an honorary patron and almost 50 institutions in cooperation, the events have found partners across Poland. There will be exhibitions and programs remembering the most important figures and phenomena of the interwar avant-garde, as well as those who developed the guiding principles for the post-war avant-garde. There will also be projects that interrogate the heritage of the avant-garde in contemporary cultural practices. 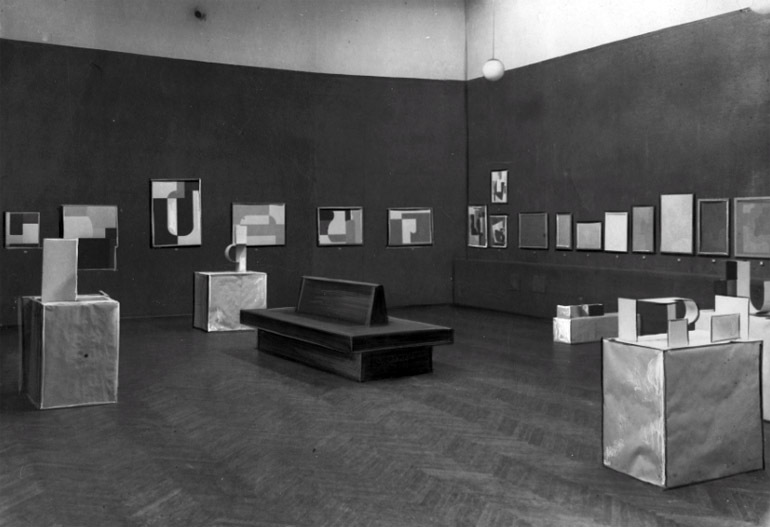 The opening at the headquarters of the Kraków Society of Friends of Fine Art and the exhibition of Polish Expressionists on 4th November 1917 is cited as the symbolic beginning of the Polish avant-garde. This event anticipated the extraordinary activity of these artists in the interwar years. The exhibition included over a hundred works from eighteen artists. From that group emerged the Formists, who created and promoted ideas of new art. These artists included Leon Chwistek, Tytus Czyżewski, Zbigniew Pronaszko, Henryk Gotlib, Jan Hrynkowski, Tymon Niesiołowski and Andrzej Pronaszko. The avant-garde had a pan-European scope and influenced the development of modern aesthetic thought and artistic practice all over the world. The artists involved presented new insights into the forms and functions of art and were distinguished by their openness to experimentation and the constant search for new forms. This openness directly influenced the cultural activities of subsequent generations. At the time, Poland was an important centre of the movement and Polish artists contributed a significant, original quality. The works of Władysław Strzemiński, Katarzyna Kobro, Stanisław Ignacy Witkiewicz, Tadeusz Peiper and Szymon Syrkus represented a major voice in the international discussion on modernity and put Poland on the map as a notable centre of world culture. The Polish avant-garde not only radically changed the character of Polish culture and shaped further developments in the visual arts, literature, film, theatre, and architecture, it also transformed the experience of reality in a meaningful way. The one hundredth anniversary of the birth of the Polish avant-garde is an excellent opportunity to draw the public’s attention to the movement and to highlight the role it plays in shaping contemporary culture. Despite its significant influence on the present shape of our lived environment – from urban design and architecture, through industrial design and fashion, to visual signs of mass communication – the importance of the avant-garde remains poorly recognized. The second exhibition, organised together with BOZAR in Brussels, is entitled Power of the Avant-garde and will take place in the Szołayski House, a branch of the National Museum in Kraków. The exhibition will feature works by key figures of the global avant-garde including Edward Munch, Kazimir Malevich, Marcel Duchamp, Fernand Léger, and Georges Rouault, alongside Polish avant-gardists like Leon Chwistek, Katarzyna Kobro, Władysław Strzemiński, Andrzej Pawłowski, and Marek Piasecki. The National Museum in Poznań will present Hans Arp and Polish Art, which will explore the relationship between one of the most important artists of the European avant-garde with Poland. A series of exhibitions with the goal of re-introducing the Polish avant-garde to the global art world is planned by the Museum of Art in Łódź, the institution most closely linked to the history of the avant-garde in Poland. 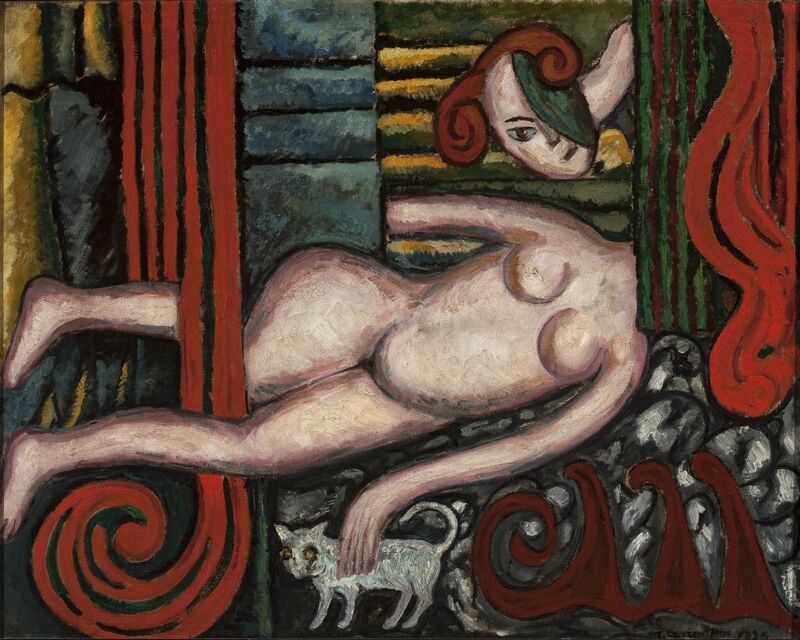 The most important of these is the monographic exhibition of works by Katarzyna Kobro and Władysław Strzemiński, co-organised by the Museo Nacional Centro de Arte Reina Sofia in Madrid. This exhibition marks the first such full presentation of the work of these key Polish avant-gardists in a museum of such prestige. Moved Bodies: Choreographies of Modernity is devoted to one of the key issues of organisation and rationalization of the modern movement, and adopting the theory and practice of Katarzyna Kobro as a reference. To correspond with the program in Łódź, the National Museum in Wrocław will present an exhibition on Andrzej Wajda’s last film, Afterimage, a portrayal of the final years of Władysław Strzemiński’s life. Additionally, the Silesian Museum in Katowice and the Museum of History of Katowice have prepared an exhibition dedicated to the fate of the avant-garde in Śląsk. In October 2016, the National Museum in Warsaw will resume its annual series of lectures Breakthrough, continuation, or dialogue? Art of the 20th- and 21st-century in the context of ancient art. During the ‘Museum Tuesdays’ series there will be talks on ‘Tradition vs. avant-garde: Polish artists regain independence’ and ‘Cubism, futurism, surrealism, and abstraction’ in the 20th- and 21st-Century Art Gallery. The museum also invites young people and families to a special series of workshops: ‘Modern art for beginners’, ‘Art from circles and squares’, and ‘Gallery of contrasts’. The Museum of Tadeusz Kantor Cricoteka in Kraków will present a recent project in an exhibition, a conference, and a publication dedicated to the Cricot Theatre, founded in Kraków in 1933 by a group of young artists and avant-garde writers, led by Józef Jarema. A second Kraków museum, the Museum of the History of Photography, will hold screenings and lectures on the pre-war film avant-garde (including Feliks Kuczkowski, Janusz Maria Brzeski, and Jalu Kurek) and films created in the post-war avant-garde milieu. The Zbigniew Raszewski Theatre Institute will present a series of events – Recovered Avant-garde – aimed at promoting the lesser-known achievements of the Polish theatrical avant-garde of the 20th-century. The Nowy Theatre in Łódź will organise an open competition for a script dedicated to the avant-garde. There will also be a series of concerts performed to accompany the projects related to the centenary celebration. The ‘Warsaw Autumn’ International Festival of Contemporary Music has prepared a special program for the celebration. The Wielki Theatre in Łódź will premiere Aleksander Tansman’s Golden Rune and the Academy of Music in Łódź will present Pillars of the Polish Musical Avant-garde, a series that allows audiences to familiarize themselves with the rarely performed works of Józef Koffler, the first Polish dodecaphonist, as well as works by Polish composers inspired by the art of Kobro and Strzemiński. 2017 will also bring a number of publications devoted to the avant-garde. Among these, the Institute of Architecture in Kraków will publish an anthology of theoretical and critical texts devoted to modern architecture in Poland, together with a collection of essays and commentaries. The Museum of Modern Art in Warsaw will release a text on the history of the radical avant-garde by Andrzej Turowski, one of the most important Polish scholars of 20th-century art. Along with their series of exhibitions, the Museum of Art in Łódź will publish a revised version of Władysław Strzemiński’s Theory of Vision, one of the most important theoretical works in the history of Polish Modernism. In cooperation with a popular press, they will also launch a series of monographs devoted to important figures and phenomena of 20th-century Polish art. The story of the Polish avant-garde does not end with the interwar years. 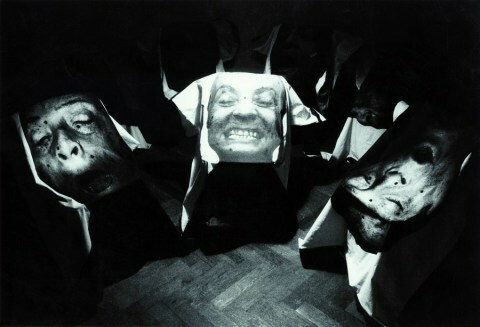 The tradition and ethos of the avant-garde strongly influenced the work of Polish artists in the decades that followed. This influence will be explored in a number of exhibits, including one at the National Museum in Wrocław that focuses on the use of new media in Polish art between 1945 and 1980. The MOCAK Museum of Contemporary Art in Kraków will organise a retrospective of Jonah Stern, a great artist who served as a link between the first avant-garde and its post-war iterations. In Warsaw, the Museum of Modern Art will stage an exhibition dedicated to Oskar Hansen, one of the most important figures in twentieth-century Polish architecture and the creator of the influential theory of Open Form. The BWA Gallery in Zielona Góra will remember Wacław Szpankowski, a noted artist and the initiator of the ‘Golden Circle’, one of the most important gatherings of the Polish neo-avant-garde. BWA in Wrocław has organised To Natalia, an exhibition that brings together the art of Natalia LL, a central figure of the neo-avant-garde, with works by younger artists she influenced. With the aim of constructing narratives about post-war Europe, the Trauma and Revival project will host an international conference devoted to the history of avant-garde exhibitions at Bunkier Sztuki in Kraków. Zachęta Gallery in Warsaw will publish a book, Avant-garde in CBWA, documenting the history of avant-garde art in the gallery in the1950s and 1960s. Insofar as today the formal solutions created by the avant-garde have purely historical value, the ethos of and commitment to experimentation that defined the early avant-garde still seems to attract modern artists. This influence will be explored in a number of events in 2017. Bunkier Sztuki in Kraków will host the international exhibition The Trouble of Value, dedicated to the problem of value creation and value in art after the avant-garde breakthrough. The Arsenał Gallery in Białystok will present the project Kino-Oko. The exhibition shows how the ideas of Dziga Vertov, one of the most important figures of constructivist avant-garde cinema, influence contemporary artistic practices – from the experiments of the Academy of Motion and the artists associated with the Film Form Workshop to the works of the youngest generation of artists. The Museum of Art in Łódź will present the international exhibition Rhythm Museum, which draws on the writings of Heri Lefebvre and the theories of Katarzyna Kobro and Władysław Strzemiński to discuss the various forms of rhythm operating in modern art. The exhibition Gotong Royong/The Art of Good Work, an exploration of the importance of avant-garde heritage for today’s art in a globalized world, is the result of two years of cooperative work between the Indonesian Jatiwang Art Factory and the Centre for Contemporary Art at Ujazdowski Castle in Warsaw. The Museum of the City of Gdynia will host a series of events under the name Avant-garde Instruction Manual, which will enable ‘ordinary people’ to channel the creative of the avant-garde tradition. The National Museum in Gdańsk will prepare a publication, which will include statements from contemporary artists, creators, and theorists on the place of the avant-garde in the contemporary world. The Kronik Gallery in Bytom will present a project devoted to the Silesian neo-avant-garde and its impact on the art of today. There will also be an exhibition in the Bytom gallery on the development of the “language of boasts and threats” from Dadaism to hip-hop. City-machine, devoted to works inspired by technical civilization and modernist architecture.